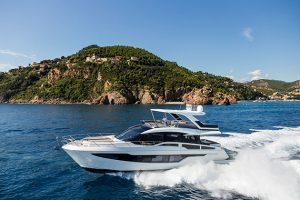 The Leopard 43PC is an updated version of the 39PC, though it is an update far more comprehensive than a quick facelift and some new engines. 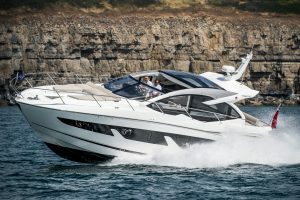 No, from the hulls upwards the 43PC is different to its predecessor and had been desinged from the off to be a power cat. 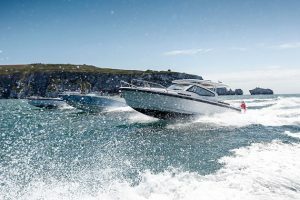 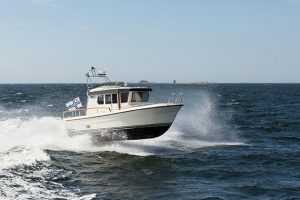 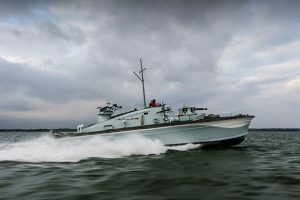 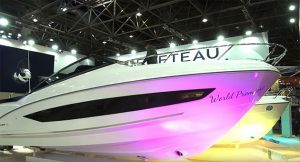 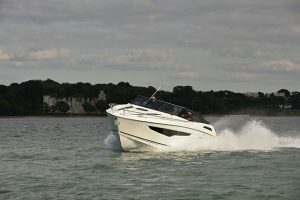 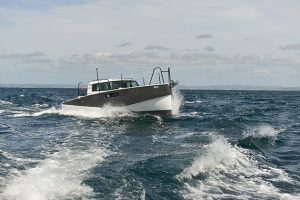 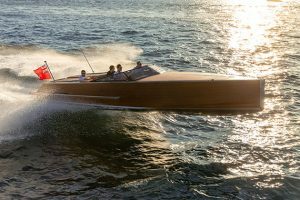 This translates to the performance where, thanks to a pair of 260hp Yanmar diesels, the 43PC will top out at over 20 knots. 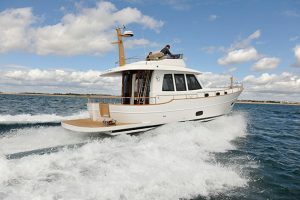 Conversely, throttle back to 6 knots and the range rockets to nearly 1,500 miles. 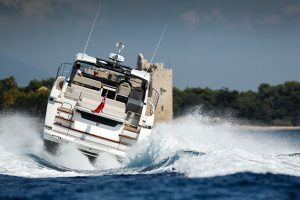 Some of the biggest changes come on deck where the orientation has totally changed and Leopard have added a door at the front of the saloon to the vast foredeck. 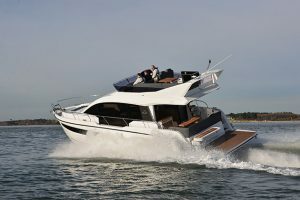 The flybridge is also much improved over the 39, with a far better layout and access from the cockpit and a gate forward. 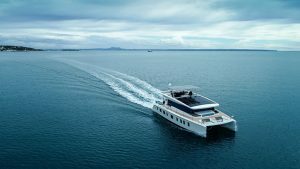 Below deck you can either have four double cabins sharing two bathrooms (prime charter spec) or a full-length master in one hull with two guests cabins in the other. 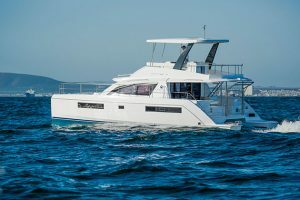 Power catamarans certainly aren’t for everybody but if you’re in the market then the 43PC is a cracker. 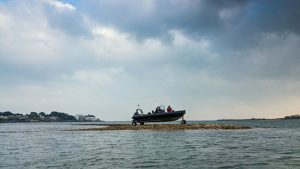 Read the full report in the September 2016 issue of MBY.